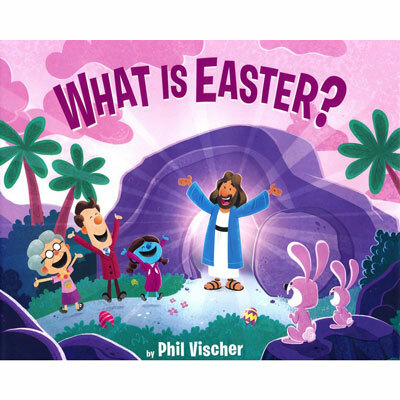 Shop FamilyLife - What is Easter? And what do eggs and bunnies have to do with Jesus? Buck Denver and Friends ask some big questions and learn how we can all celebrate the new life that Jesus brings at Easter! Phil Vischer made his first animated film when he was nine years old; by the age of fourteen, he was convinced he would be a filmmaker when he grew up. After a brief stint at a Bible college, Phil struck out on his own, looking for a way to integrate his faith with his filmmaking. This quest led him to a tomato and a cucumber. The year was 1991, and Phil was a newly married 25 year-old with no financial backing and no idea how his vegetables would ever see the light of day. Today, almost 50 million VeggieTales videos have been purchased and Phil’s faith-filled stories can be found in one-third of all American homes with young children. Although Phil’s original company, Big Idea Productions, collapsed in bankruptcy in 2003, Phil continues his creative involvement with VeggieTales through its current owner. Phil also is actively developing new ways to integrate faith and storytelling through his new creative shop, Jellyfish Labs. Phil captured the breathtaking rise—and heartbreaking fall—of Big Idea Productions in the book Me, Myself & Bob, which was published by Thomas Nelson. He is also the author of the popular children’s books Sidney and Norman and 47 Beavers on the Big Blue Sea. He also created the children's series Buck Denver Asks What's in the Bible. Phil lives with his wife Lisa (aka Junior Asparagus) and their three kids in Wheaton, Illinois. For more information, visit PhilVischer.com.